At present, the well-known brand “YTO” consists of four product platforms, nineteen series (YM heavy-duty product platform comprises S, H and K series; LR middle-duty product platform comprises V, N, M, B, A series; YT middle-duty product platform comprises A and B series; YD light-middle-duty product platform comprises 380, 385, 480, 485, 490, 495, 4100 and 4102 series), forming the golden product chain with the displacement ranging from 2L to 12L, and power from 10kW to 405kW, with annual manufacturing capacity of 300000 sets. 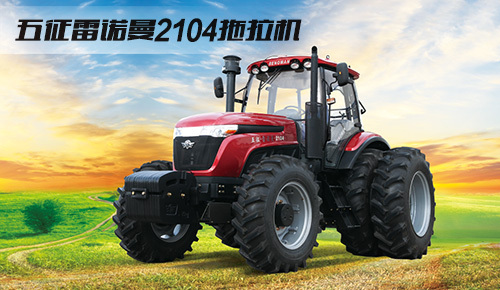 So to speak, YTO diesel engine is one kind of engines with most series and types in the power for non-road use throughout China, and even in the whole world, which could satisfy the power supporting requirements of the tractor, harvester, engineering machinery, generator unit, steamer machine, stationary power unit, and other main engines. YTO diesel engine has an obvious advantage in strong power, large torque reserves, reliability and durability, low consumption and economic features. Product technology, constantly upgrading, low vibration and noise of biaxial balance; energy-saving emission reduction type electronic control fuel injection; four valve, exhaust after treatment. In three certification, China four diesel engine research and development are in a leading position in the path of non host supporting power industry.